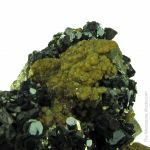 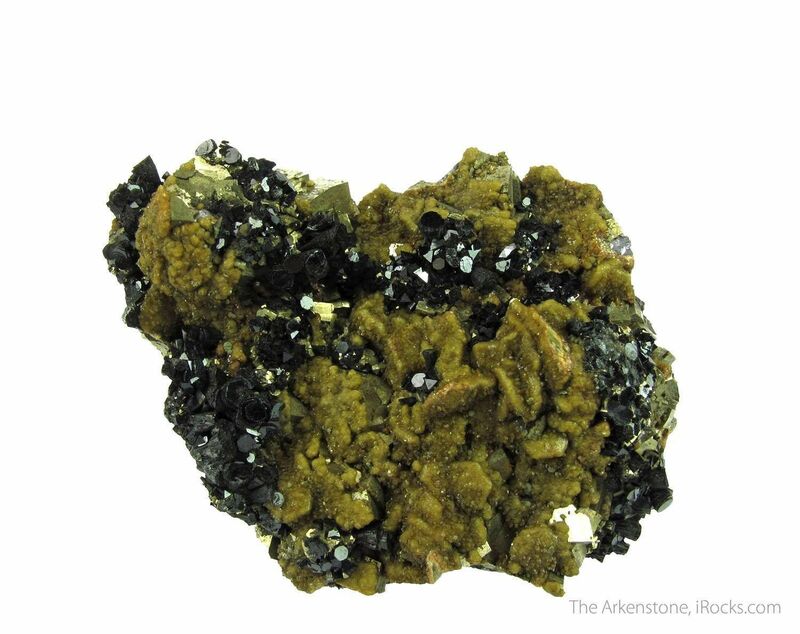 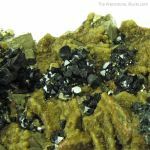 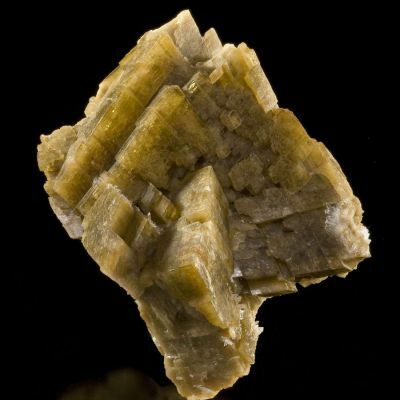 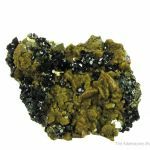 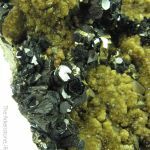 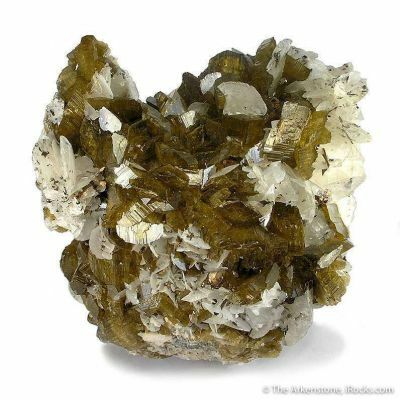 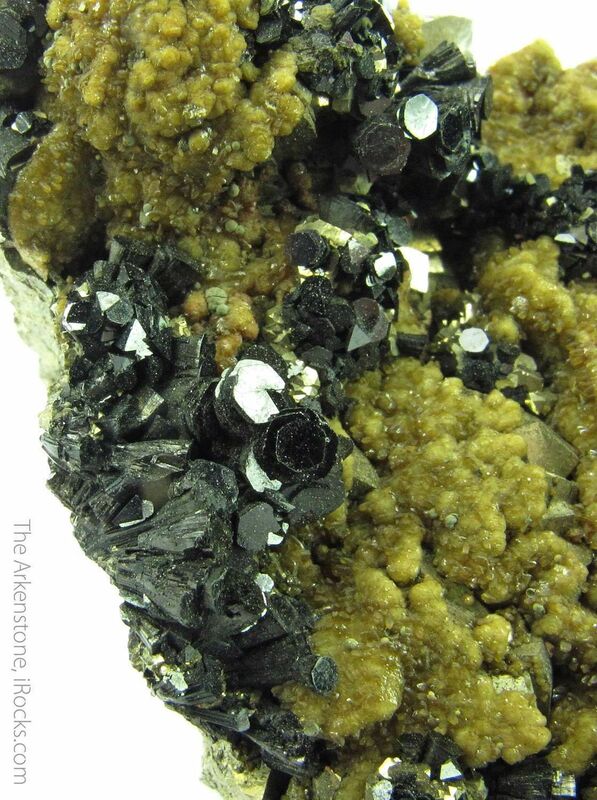 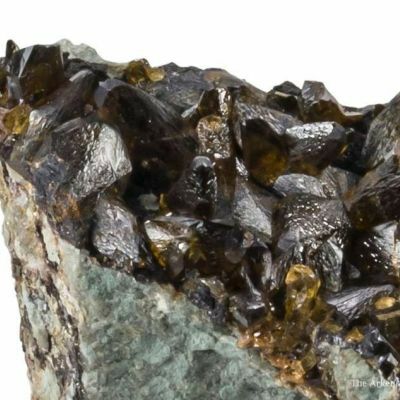 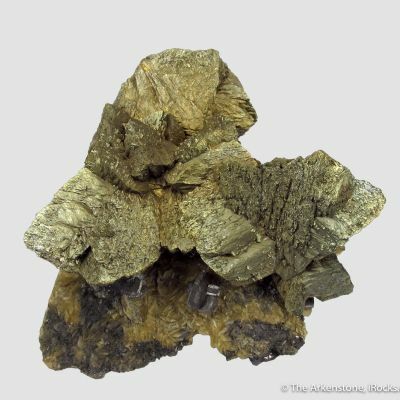 Cronstedtite is an uncommon hydrous silicate that has a most unusual growth habit. 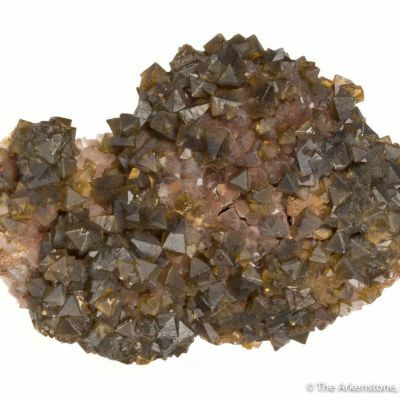 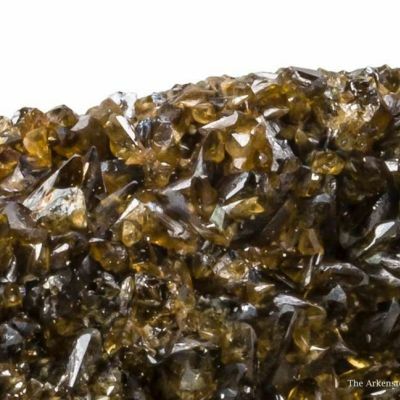 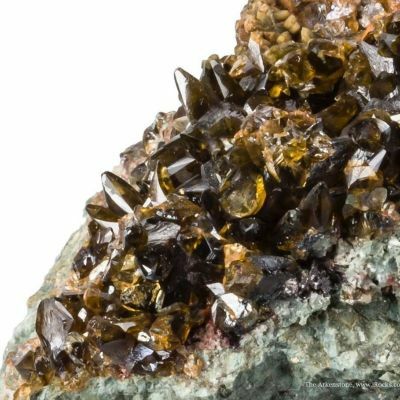 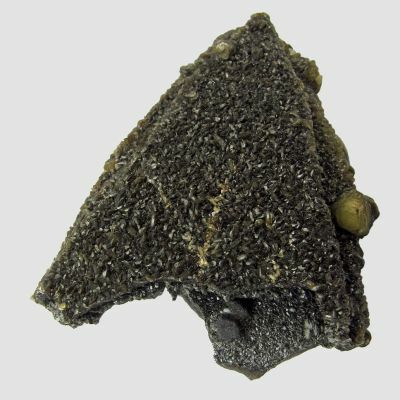 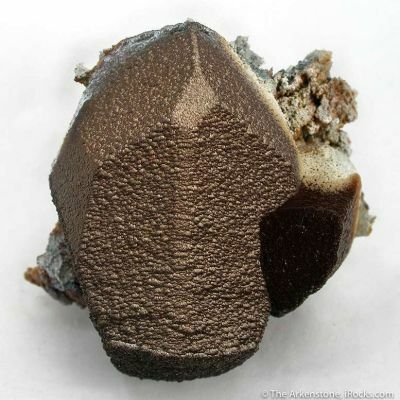 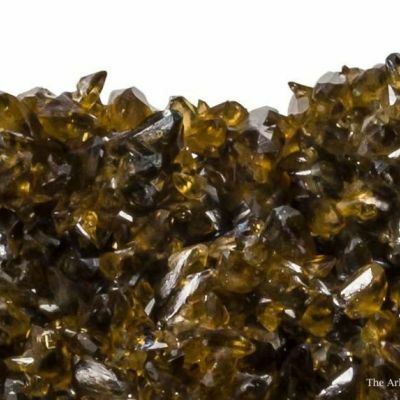 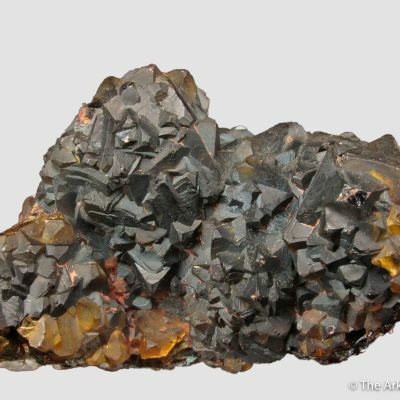 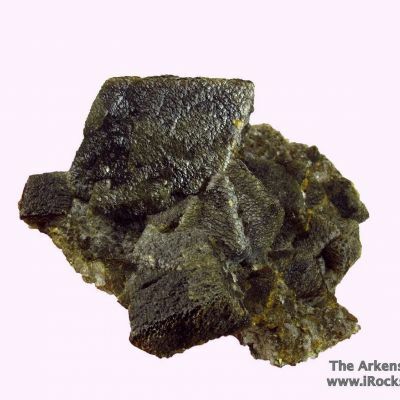 If you look carefully, you can see that the Cronstedtite grows in conical-shaped crystals with a hexagonal outline. 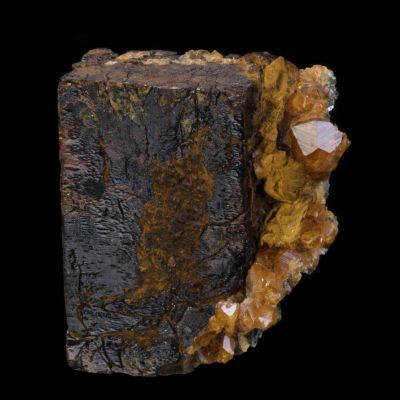 Reminiscent of reverse tapered Mica books, I would say. These black crystals, up to about 3 mm in size, have mirror-like terminations and are attractive in their own way. 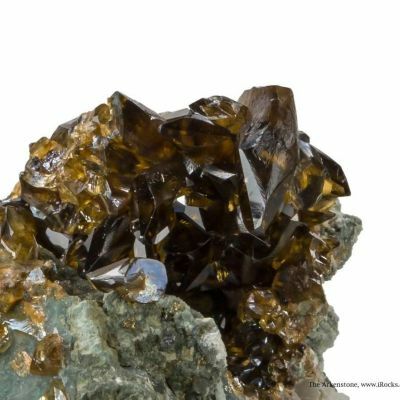 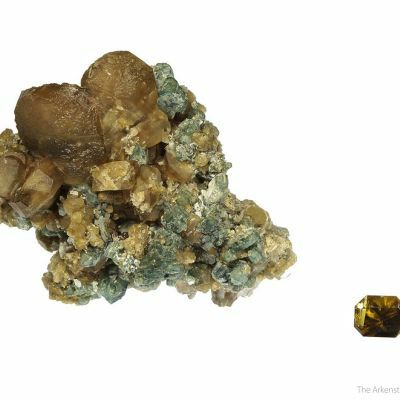 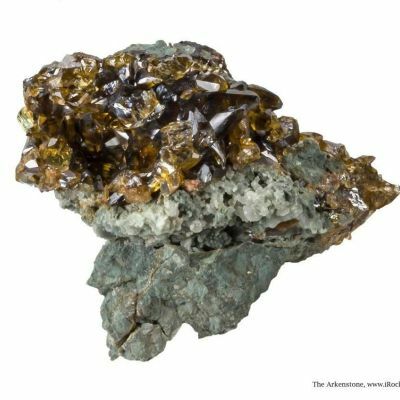 They are associated with two generations of Siderite: rhombs coated with a second-generation of botryoidal and rather lustrous Siderite. 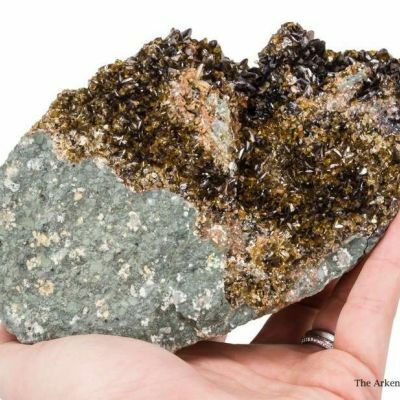 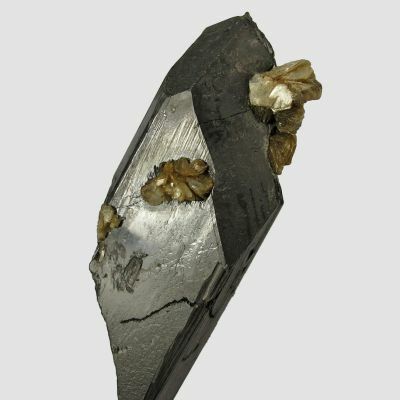 All on a matrix composed of Pyrite cubes and Arsenopyrite. A good, and unusual, combination piece from the famous Huanzala Mine in Peru. 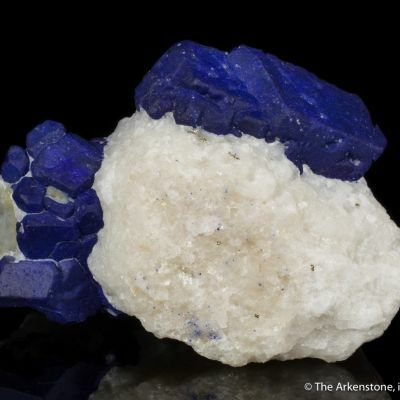 Art obtained most of his Peruvian specimens himself when down there for work or for research for the magnum opus on the Minerals of Peru, which he edited.